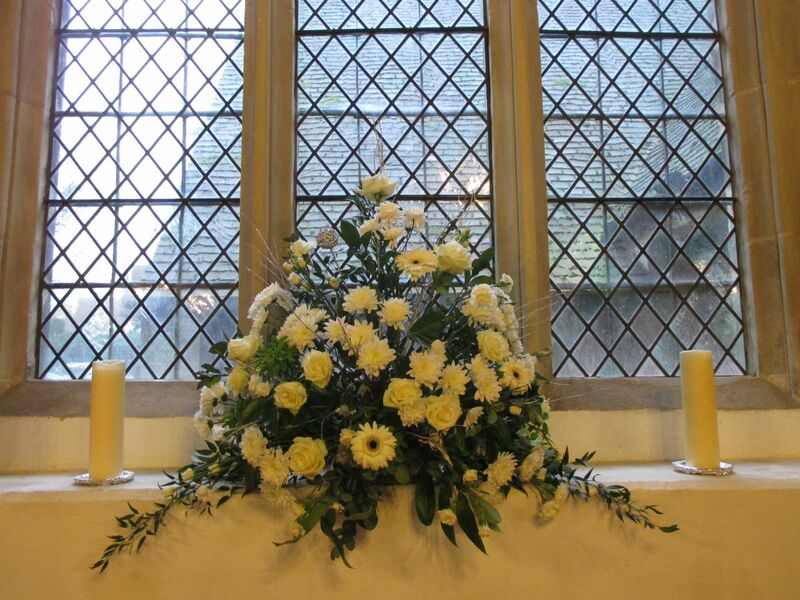 It is a great pleasure to run the flower arranging team. 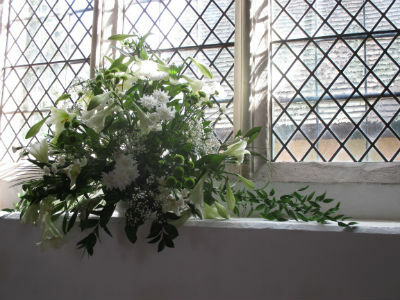 We have 13 regular flower arrangers and I prepare an annual rota so everyone gets about 2 – 3 chances to arrange per year. 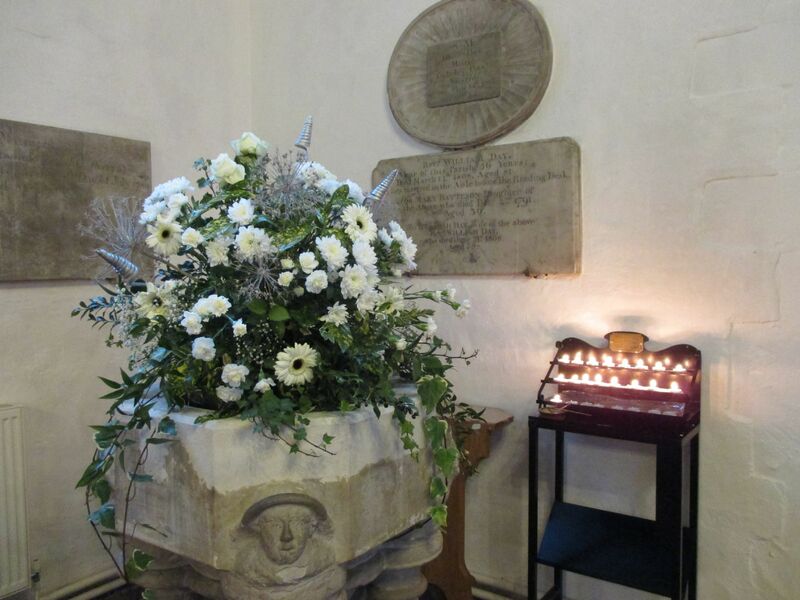 We have two altar pedestals and each arrangement lasts two Sundays; bowls and oasis are provided. 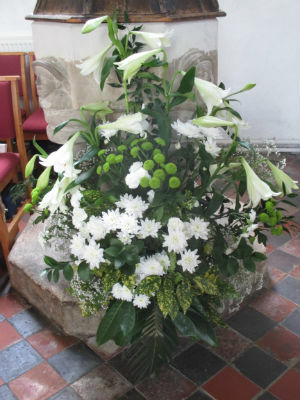 At Easter and Christmas we have a full team making 6 – 8 arrangements. 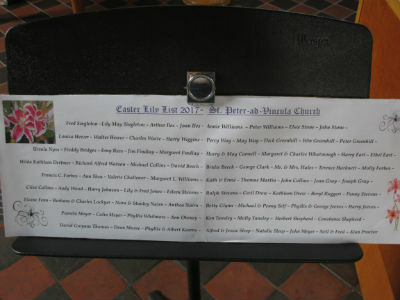 Arranging for special services is always a social event and we have coffee and a chat together and sometimes cake! 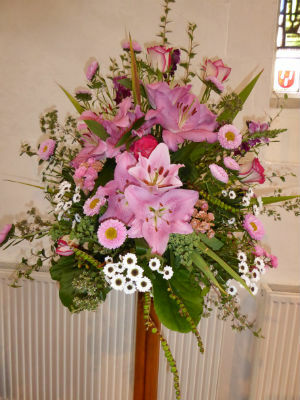 The cost of flowers is usually covered by St Peter's, but some flower arrangements are donated by people in memory of a loved one. Every two years on the August bank holiday weekend we have St Peter's Summer Festival. 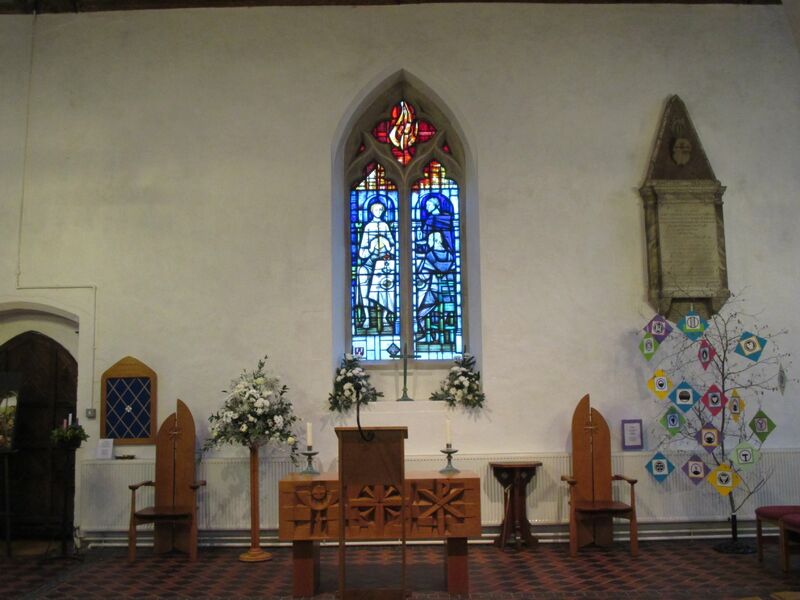 During the festival the church is filled with flowers and live music. Our most recent Summer Festival was in 2018. 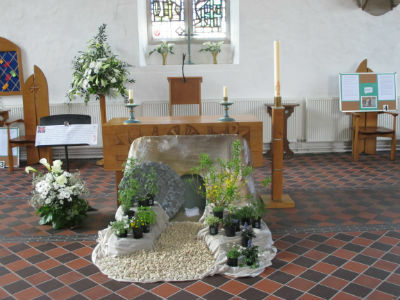 The theme of the flower displays was ‘The Kingdom of God is like…’. Our next Summer Festival will be in 2020. We prepare the festival flowers on the Wednesday and Thursday before the bank holiday weekend and then we all sit down together for lunch. 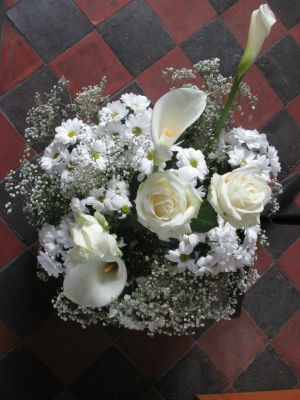 We also arrange flowers for weddings, which is always a great joy! We are always looking for new arrangers to join us. Please feel free to contact me if you would like to try it out. You would be very welcome!